Being outdoors is one of the best things in life. For many people, nothing makes you feel more alive than immersing yourself in nature, especially when you go camping. The fresh air, adrenaline rush, and disconnecting from the digital world really does a lot of good. But while being outdoors is a lot of fun, it’s crucial to be comfortable on the trail while bringing along all your essentials with you. This is why it’s so important to have a bag that can securely carry all your hiking and camping gear, but also has the ability to stay dry when you need it most. Most of us carry valuable possessions in our travel backpacks for camping, such as food, clothing, sleeping gear, and much more – but these are rendered useless if rain gets into your bag. A simple feature like a rain cover for your backpack can make a world of a difference for your hiking trip. Outdoor enthusiasts know that weather can be unpredictable, but your bag doesn’t have to be. You should be able to rely on a durable bag that will keep your goods dry through good and bad weather. Lixada understands this, and that’s why they’ve made an affordable bag for the outdoors that can take you from mountains and through forests, streams and puddles, or even backpacking to other countries; all while keeping your items dry and secure. Outdoor lovers and travelers need a spacious bag that can carry all that you need on the road while being reliable enough when unpredictable weather hits. Lixada is one of the most trusted names in sports and outdoor gear. Not only do they make durable goods that are so useful for the outdoors, they are also very affordable. You can expect the same from their Lixada 50L Hiking Backpack. The generous and spacious capacity of this bag makes it ideal for camping, and it can also be used for short or multi-day hikes as well as backpacking. Whether you need a waterproof backpack for fishing, camping, or trekking, this bag will go a long way in carrying your most valuable gear with you. This lightweight back is so versatile and will come in handy no matter where your outdoor adventures will take you. It’s a great bonus too that it’s equipped with reliable water resistant features and a useful rain cover. This bag’s durability and versatility at such great price points is what makes it stand out. It’s so spacious that you can even take it along with you backpacking and you know it will have the right amount of space that you need. Most other brands will charge upwards of a hundred dollars to create a waterproof backpack that’s as spacious as this one, but Lixada has been able to make a high-quality product for the price-conscious outdoor lover. Considering all that this bag can carry, it’s also extremely comfortable thanks to the ergonomic, padded shoulder straps. Anyone who’s been on a long hike outdoors, or spends their days walking around while traveling knows the importance of adjustable chest and waist belts when it comes to comfort. After all, what fun is any trip if you aren’t comfortable? The 50L capacity of this backpack is ideal for multi-day trips; it can also come in handy for day hikes especially if you have a lot to carry such as hammocks and cooking gear. However, some people have found that the material isn’t durable enough if you are carrying extremely heavy items. Just be sure to pack your things properly especially for hiking. 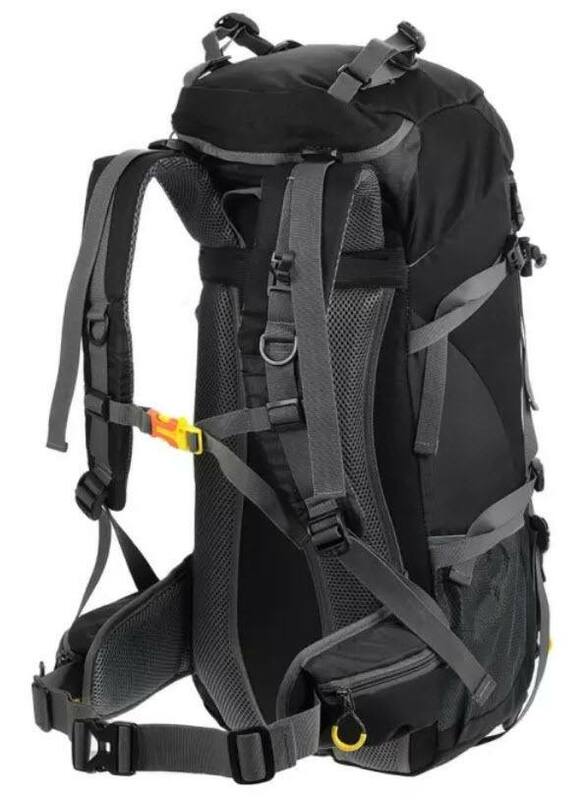 Keep in mind that the bottom part of the backpack is where bulky gear should be stored; the core area is for dense and heavier goods; the top zone for bulky items that you may need often while on the trail; and lastly, the accessory pockets and compartments for essentials you will need often. Take care of this backpack and it will take care of you. If you use a light hand when handling it, then it will last you a very long time. 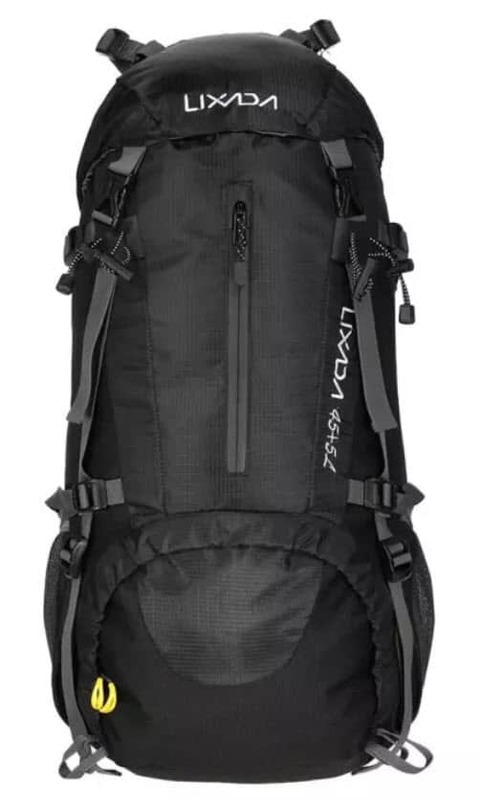 The Lixada 50L Hiking Backpack is currently sold on Amazon at such a great price. This backpack is so affordable, but before you think that they scrimped on quality, think again: it’s received lots of satisfied customer reviews. It’s so inexpensive that you can even easily afford to get two if you’d like. Or, you can also use the savings to purchase hiking gear. When you purchase another product, you may even be able to qualify for free shipping from Amazon. Either way, it’s such a great deal that you shouldn’t miss out on. Although Lixada doesn’t offer a warranty on this product, with such an affordable price it can easily be replaced. If you receive it and the backpack is defective, you can also have it returned provided that it complies with Amazon’s return policy. 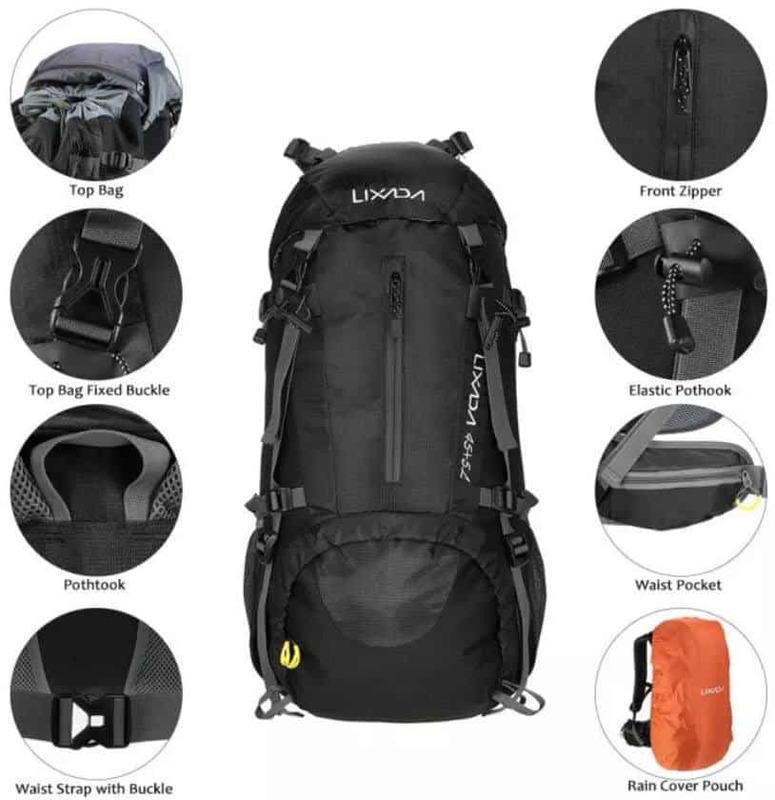 If you’ve been looking for a reliable and spacious backpack to organize a lot of things for traveling or the outdoors, this is the back for you. The Lixada 50L Hiking Backpack is affordable, spacious, and will even keep your gear protected in case of rain. Quality doesn’t have to break the bank, and Lixada proves this.